Youth organizations concerned at the rising rate of youth with serious gambling problems are using a two-pronged approach to prevention. The first involves reducing the potential for gambling to become a problem for those who already gamble, and the second is to inform those already gambling of the resources that are in place to help them if they feel gambling has become an issue. Unlike drugs and alcohol prevention education, where young people are taught to “just say no”, those interested in gambling addiction prevention are trying to teach young gamblers how to gamble responsibly without letting it get out of control. Methods of prevention include providing young gamblers with the tools to resist the temptation to gamble more than is reasonable and making them aware of their options if they find themselves developing a gambling problem. While no one prevention method is more effective than another, educating young people from an early age about the dangers of gambling can help prevent gambling addiction later in life. Just as no one method of drug and alcohol abuse prevention is effective, so it is too with gambling. Experience with drug and alcohol abuse prevention has revealed that there simply is no ‘one-size-fits-all’ solution. The same is likely to be true for gambling addiction prevention. As problem gambling often starts at an early age it is imperative that prevention education begin as early in a child’s life as possible, but must be tailored to the age and maturity of the child. While a pre-teen may respond well, to abstinence as a means of preventing gambling addiction, once a child is in his or her teens the same method is likely to be met with resistance. Teens tend to become rebellious and therefore less likely to respond favorably to being advised to not gamble at all, and so will require a different approach. Unfortunately there is little in the way of literature that outlines strategies that are age-appropriate. Parents have a vital role to play in preventing their children from becoming addicted to gambling later in life. Open and honest communication between parents and children will go a long way towards the children feeling safe to confide in their parents should gambling become an issue. Parents should not make gambling a taboo subject; quite the opposite in fact, and should be willing to listen to their children. The more open parents are about gambling responsibly and the dangers of excessive gambling, the more informed their children can become, and therefore better equipped to make sound decisions when faced with the opportunity to gamble. Parents need to be aware that if they or other older family members are observed gambling or are heard talking excitedly about the thrill of gambling and winning, children are more likely to want to try gambling themselves. In this situation it is imperative that parents explain to their children that gambling is a form of entertainment and is not a way to make money. Parents should also impress upon their children that although it is fun to win there are financial risks as the chances of losing are much higher. Children should not be exposed to gambling games within the home, and instead be involved in playing non-gambling games with parents and siblings, fostering a happy, fun family environment. Parents who suspect their child of gambling do have options, including availing themselves of professional help. Becoming informed themselves of the risks involved and assessing their own beliefs and understanding of gambling are just two things parents of a child who is gambling can do. Parents can also encourage their children to discuss their gambling with them in such a way that the child feels safe. If the gambling does not appear to be a serious issue, parents can place limits on the amount of money the child has to gamble with, and how often the child may gamble. 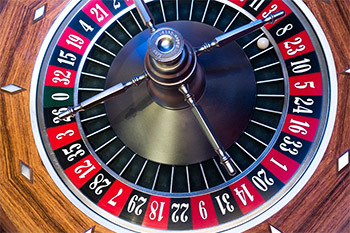 If the gambling appears to be a more serious issue professional help can be sought for both the parents and the child. Youth see betting and gambling as two separate things, with gambling have more negative connotations than betting. Internet gambling is a major concern as it is readily available to any youth with internet access. If they have access to a pre-paid credit card they can easily gamble without their parent’s knowledge. Youth tend to be fairly ignorant about the probability of winning. Most youth have an understanding of the potential problems of gambling, and that spending more time and money gambling, as well as stealing from friends and family to fund their gambling are issues, but around 25% of youth do not see those signs as being symptomatic of a gambling problem. At present gambling prevention is being addressed in high schools and universities but there is some concern among professionals that gambling prevention education should be addressed at an earlier age.